Had a big 'ol honkin' group of people come to the 'ol biblioteca to take the oath today to become brand-spankin' new US citizens. Our Teen Council members coordinate this at least once a year. Welcome to our new citizens and props to our teens! Publicist: Mischa Barton 'making improvements' via NPR Topics: Arts & Entertainment on 7/21/09 OK, nobody has come right out and said it, but the fact that they didn't indicates it's probably a mental health issue. I don't know much at all about Ms. Barton. What I want to say is, if it is a mental health problem, bravo for having the courage to take care of it before it gets out of hand. And double-kudos to those who have let the lass have privacy. Pharmacists can't refuse Plan B pill, appeals court says via PewForum.org All News Feeds on 7/8/09 "Pharmacists are obliged to dispense the Plan B pill, even if they are personally opposed to the "morning after" contraceptive on religious grounds, a federal appeals court ruled Wednesday." While I respect a person's individual beliefs, the pharmacists trying to refuse medications are not following the ethics of their profession. Even though I hate some of the things my library customers ask for, if it's legal and in my power, I can't refuse to look for it. Follow your professional ethics, please! Face it, our neighbors to the south are in one helluva pickle with these drug cartels and government corruption. And, living in the US kidnapping capital, I can say without qualification that the violence is spreading across the border. It scares the crap out of me. This is just one small drop in the bucket, but bravo to those who caught the killers. It was a brave thing. Keep working on it, Mexico. Fugitive U.S. white supremacist captured in Israel via CNN.com Recently Published/Updated on 7/14/09 "A fugitive American white supremacist was arrested Monday in Israel, ending an international manhunt that began in 2007, Israeli and U.S. officials said." Hallelujah. Let's keep fighting the good fight against hate. And find out what would make a person like that. Africans reach out to Obama via text messages via CNN.com Recently Published/Updated on 7/11/09 I just think this is just cool. Individuals in a continent torn apart by poverty and civil war have an avenue, however tiny, to plead their case to one of the most powerful men in the world. It may not be much, but it's a small step. Although I did not want him for president, when Sen. McCain stands up for the right thing people listen. Well done, senator. "With each failure our conscience is stung, and we resolve to do better," he said. "Each time we say, 'never again,' whatever our flaws, whatever dangers we face, however sharp our debates, we must remain a country with a conscience..."I will tell you, if you inflict enough pain on someone for a long enough period of time, that person is going to tell you anything that they think you want to hear in order to make the pain stop," he said...He said even if torture did elicit useful information that would help keep the country safe, the tactic is almost always wrong." On of the more thoghtful and well written blogs is Dave Pollard's How to Save the World. 1. "What one additional capacity or skill, more than any other, do you think you need to acquire or learn, to equip yourself to make the world a better place, and why? What is the single best way for you to acquire or learn (or motivate yourself to learn) that additional capacity or skill?" 2. "What one additional action, more than any other, do you think you can take, personally, to make the world a better place, and why? " 3. "What one additional action, more than any other, do you think you can take, in your community, to make the world a better place, and why?" 4. "What one additional action, more than any other, do you think you can take, in your job or enterprise, to make the world a better place, and why?" For each question Dave asks "What's really holding you back from doing so? What can you do to get past this block?" AHA! Great Minds Think Alike! One of my snark-idols, Lileks had thoughts similar to mine on Monday's 40th anniversary of the moon landing. This indicates to me that we must be approximately the same age. “This is the hour of rejoicing” via (title unknown) by Lileks on 7/20/09. "I knew we’d make it. I knew they’d come back safe. They were astronauts...It wasn’t just geeky nerd-boys who lived for Space. It seemed everyone did. Now that I think of it, I had my first - and possibly last - act of actual journalism in the summer of 1969; I got a cassette tape recorder for my birthday, and went over to Northport Shopping Center to ask people what they thought of the moon landing. (They were for it.) "
Let This Be A Lesson To You Department! Back...away...from...the turtle... This torrid tale is reprinted in full below. Turtles have a leisurely, gentle way about them. They're slow and steady and don't partake in any seaside drama. But just try to mess with their eggs! These are some of the last known photos taken of one C. Sheldon Smith during a school field trip to the shore. 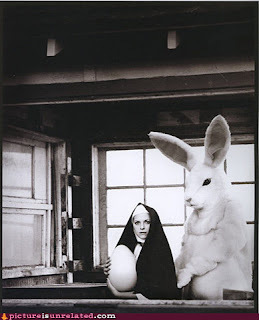 Repeatedly told by his teacher "not to disturb the eggs; to look, don't touch; and to get your grimy hands off the goddamn eggs, how many times do I have to tell you, you freakish little moron," Sheldon squatted down, scooped up a cache of freshly laid leathery orbs, and in so doing, incurred the mighty wrath of mama turtle. 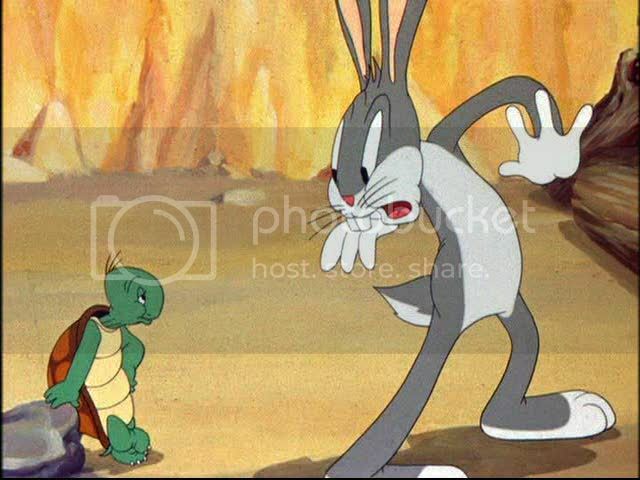 May the following snapshot, taken moments before the horrible deaths of Sheldon and his classmates (and the surrounding townsfolk) serve as a warning to us all. This is bizarre. I can not figure out the reason for this. In the name of love and taquitos, WHY? 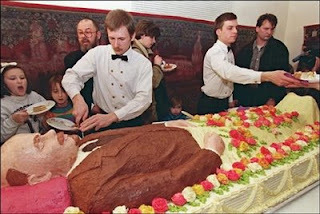 On the other hand, I am struck by the detail on this representation of a dead Lenin. And I also think it would be cool to name a band "The Dead Lenins," but I'm funny that way. 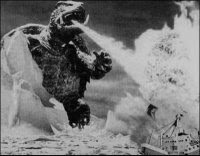 “The runaway success of Pride and Prejudice and Zombies (which I have written about here and here) has inspired the publishers to try again, this time with sea monsters. As reported in Early Word, Sense and Sensibility and Sea Monsters is taking Jane Austen's text into a world where terrible monsters lurk in every lake and pond. Our heroes must find love and stop the monsters. Stephen King’s Dome Headed to TV? A Woman in Berlin Gets Rave Reviews. Do You Have the Book? Is Harry Potter Losing His Fans to Twilight? And here it is, 40 years later. The moon. Man walked on the moon. Do your children and grandchildren know the wonder of the achievement? Do they understand the wonder? Have you shared? My grandmother was told flat-out in the 1920s that a trip to the moon was impossible. In my time, it happened. We did it. It wasn't just NASA. The entire country hoped and dreamed and did it. Sciences and mathematics were big. Interest was high. 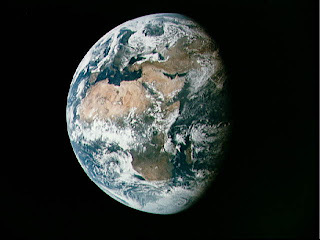 For a moment in 1969, we were all concentrated on One Big Thing. 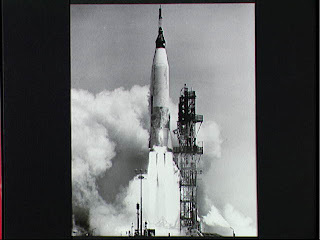 I remember early test shots, going back to the Mercury program days. I thought they were cool. At 3, this may not have been an opinion formed on my own, but because my older brother said so it was so. Lunchtime was interrupted at home. The black and white television was on. And we saw it go off. Something that flew higher than anything had ever flown. Something that held promise of a wondrous future. And looking back, it now seems almost impossible what we accomplished with slide rules. How did we dare? How did our wings, like Icarus, not melt off and send us crashing to the ground? But we made it. We all made it. And someday, maybe we will make it again. A nation's pride and a universal wonder. Someday. Perhaps the biggest dreamer was Walter Cronkite. His simple comment as the landing was confirmed, a simple "oh boy" summed it up. What more could be said? What more needed to be? Walter Cronkite loved the space program as he loved sailing, his job, and his sense of humor. In the joyous and in the tragic moments of mid-twentieth century history, he led us. He was everyman and an exceptional man. And he loved the space program. The most fitting tribute I can think of, from this small space today, is a song from the Sacred Harp. It is called White or also I'm a Long Time Travelling. Perhaps Walter's ashes will go to space someday. And that will make the singing all the sweeter. Thanks to anonymous submitter for this wonderful relic from the past! Submitter says there is lots of information about the card catalog and finding good books. (I wonder if this counts as a good book?) I quickly breezed through the world cat holidings and A LOT of public libraries are hanging on to this title. Please do the profession a favor and get something more current. Trust me, this book was not my inspiration for my career choice. Don't feel guilty about spending your library's money to travel to ALA. It is the one time of year when your colleagues and staff actually get to enjoy the peace and tranquility of the library without you in it. Everyone will agree that that is money well spent. There's an image so frightening here that shakes me to the core and turns my insides into pudding just thinking about it. No, it's not the thought of traveling through time and meeting one's older, cross-dressing self as this young man has done. That would be awesome. Look above that. See the girl falling through space? Egads! I can't think of anything more spectacularly frightening than to be precariously perched, not being able to hang on, to lose one's slippery hold .......... and then drop. Just three weeks after Jon and Kate Gosselin announced their separation, there is speculation of a new plus-one in the mix for "Jon & Kate Plus 8." Americans are spending less time stuck in traffic and wasting less gas, according to a new report. Yup. And it's because they have no jobs to go to and, frankly, can't afford the gas to just go joyriding. Nope, they're taking the bus to my library to use free internet to sign up for unemployment and look for jobs. Especially if they've never used a computer before. "All we have left is the manger suite, sir"
"Jesus Christ! You expect us to rock the house in a friggin' manger?" 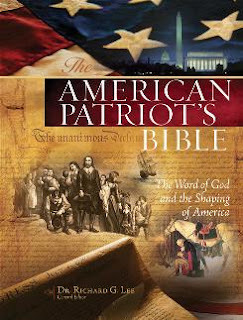 New 'American Patriot's Bible' sees USA's 'godly roots' via USATODAY.com Books - Top Stories on 7/2/09 WHAT? How the hell did this happen? 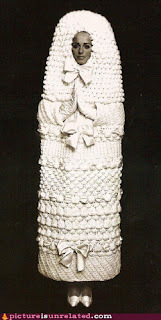 In the name of love and Grover Cleveland this is just the thing religious zealots need. "See here Chester? It says right here in this book we's a Christian Nation! That's whut the fella that prints that newspaper for folks who read said. He even checked them facts on the interweb." Ex-executive accuses insurance giant of 'purging' customers via CNN.com Recently Published/Updated on 7/2/09 WHAT? How the hell did this happen? I never would have suspected. I must say thank goodness Wendell Potter is speaking out. Bravo Mr. Potter! U.N. nuclear watchdog agency elects new head via CNN.com Recently Published/Updated on 7/2/09 WHAT? How the hell did this happen? Just a new head? What about the rest of the body? Or is the committee a group of bodies somehow connected to one head? And what good would that do? Mississippi tops U.S. obesity rankings via CNN.com Recently Published/Updated on 7/1/09 WHAT? How the hell did this happen? They missed me! Racial profiling still a problem in U.S., groups tell U.N. panel via CNN.com Recently Published/Updated on 7/1/09 WHAT? How the hell did this happen? Although not mentioned in the article, might the stage have been set with Sheriff Joe Arpaio's repeated hispanic-targeted roundups of undocumented workers? Battle Likely Over Jackson Will via NPR Topics: Arts & Entertainment on 7/1/09 WHAT? How the hell did this happen? Michael Jackson is dead? Why was I not informed? And, in the name of peanut butter and Mick Jagger, did no one see this will thing coming? Another excellent book in the Genreflecting Advisory Series. Yes, the Western has dropped in popularity in the past few years, but there are still classics that every large library should own. The book is organized into the major sub-genres and then further sub-divided into types of plots. The diversity of the western and its representation of western history is thoroughly examined. Items of "classic" reputation are clearly marked, as are award-winners and YA-interest titles. A week or so ago I reviewed the Gallery of Regrettable Food. Oh silly me! I hadn't looked at the main Lileks homepage in years. And oh what I have missed! Started in 1996, the site has grown and grown as Lileks has discovered more and more things to snark on! This is an incredible time-waster. 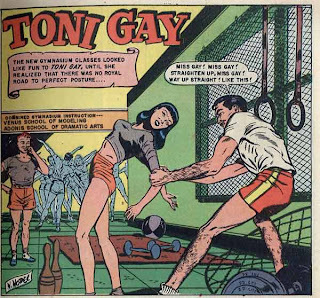 Going through gallery after gallery of things as varied as WWII propaganda to 1950s and 1960s Stag Magazines, this may be the ultimate snark site! Lilek's home may be a fire hazard due to all this paper, but holy gee, it's worth it! 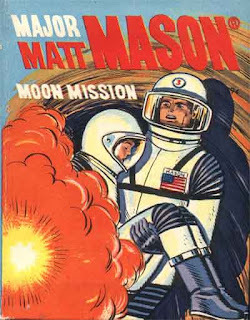 "This cover features a waaaay popular Mattel toy, Matt Mason. I had the moon scooters, the transports, everything. (I fully expected to live on the moon myself, eventually.) As a young boy, I was naturally drawn to this cover, which seems to suggest that people will have powerful, incandescent flatulence in the future." 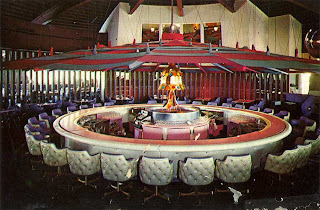 "The Rotating Bar made a complete circle every hour and 20 minutes. If you like, you could scoot out from the bar, use your legs and the wheels on the chair to remain in a gobbler-synchronous orbit while everyone else passed you by. Hey, Hank! Howya doin', Verne? Bob! Good to see you; catch you in an hour-twenty." My Personal Favorite? Comic Book Covers! In the background, the Blue Man Group is practicing their “Salute to the Air Force” routine; to the left, a red-haired Ed Grimley dork is picking his nose while his mind goes click-click-click saving up this image for later; in the foreground, an instructor - who has a form of chronic lycanthropy that starts at the wrists and ankles and works its way in – is attempting to show “Miss Gay” how to stand straight up by inflicting irreversible spinal damage.